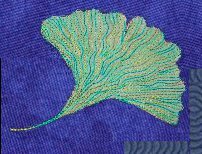 For some time now, I've wanted to do something new with my favorite shape: the ginkgo leaf. I was so excited when I realized that I could turn it into a landscape! The sun is setting behind the rolling hills of Wisconsin farm country. A stream runs between the fields providing cool water for the animals and crops. 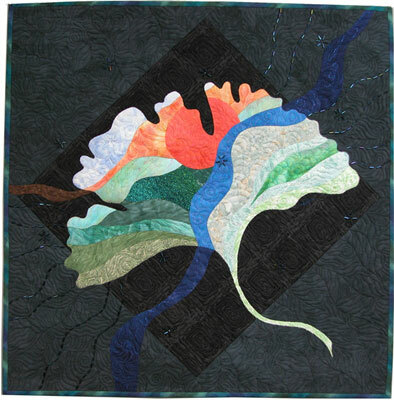 The large central ginkgo leaf is set on a black background made of: a central square set on point; with 4 black half square triangles pieced into the corners. The landscape itself was fused together on parchment paper then fused to the background. 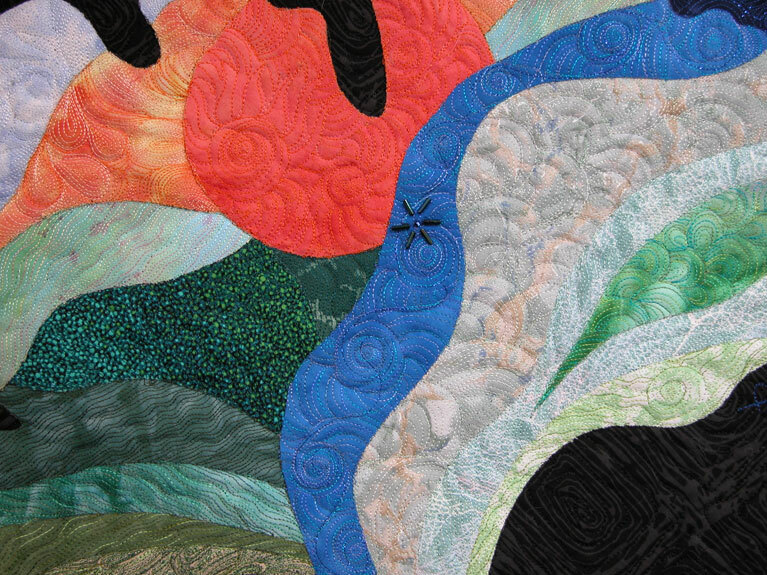 It was embroidered with decorative threads, basted, and machine quilted. Beads are widely scattered in snowflake motifs in deep blue iridescent bugle beads. 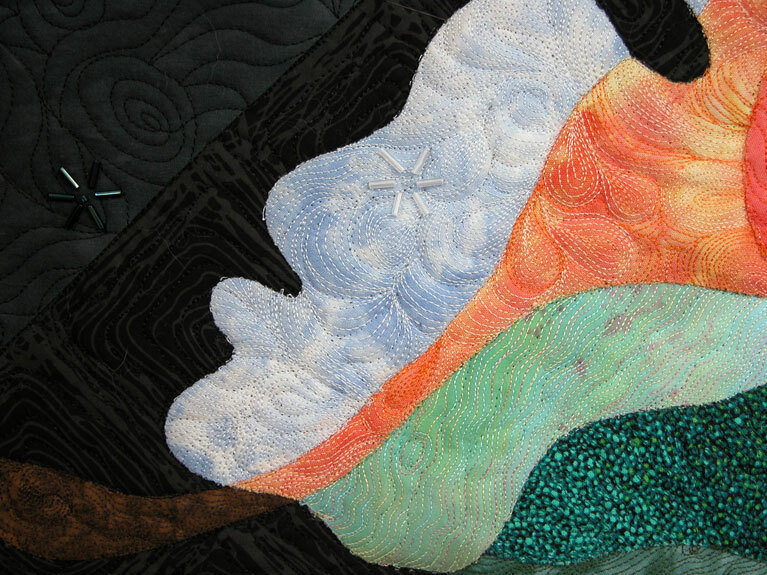 The beads also carry the horizontal lines from the landscape out to the edges of the quilt. 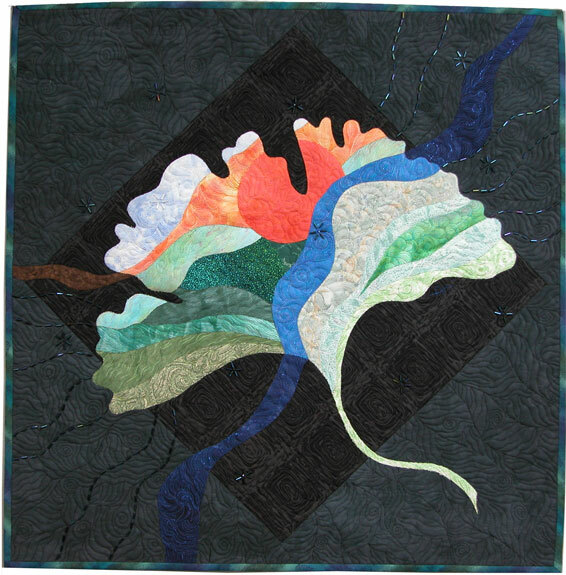 Fused, embroidered, hand beaded and machine quilted. 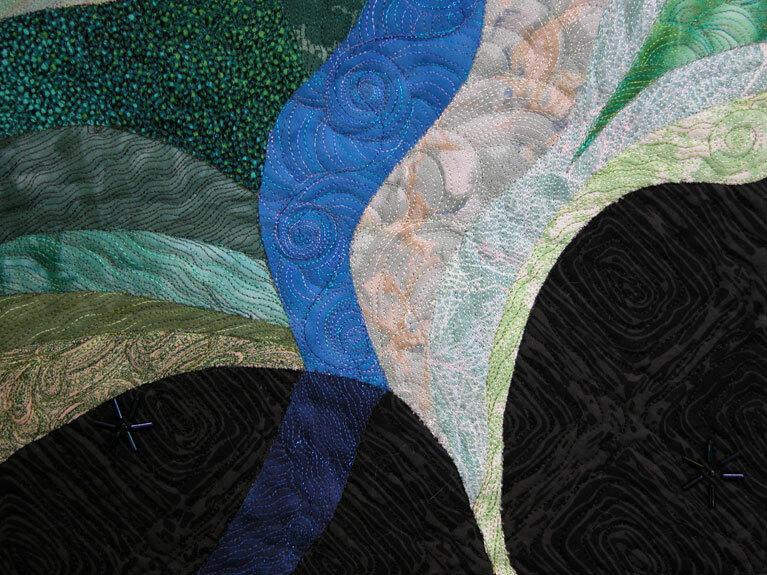 There is wool batting and a subtle green and blue print binding.